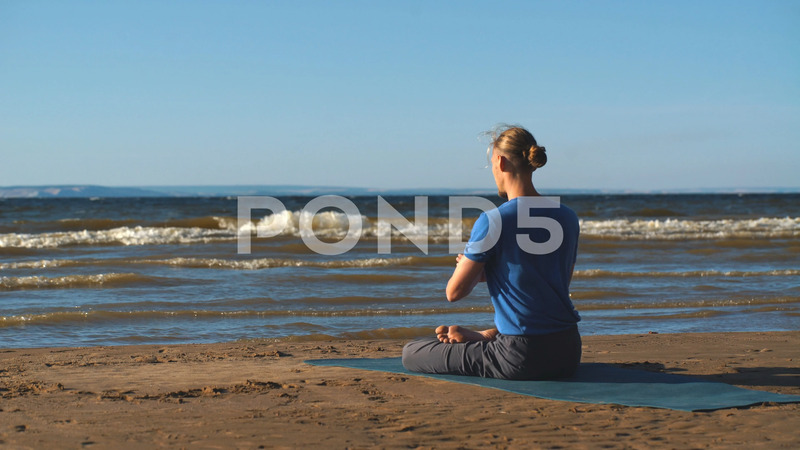 Description: man meditating in lotus position on the beach,Man doing yoga asana meditating in a lotus position,Young man makes meditation in lotus pose on sea ocean beach, harmony and contemplation. man practicing yoga at sea resort at her vacation. Life style. Young man relaxing outdoors.